Bailey the four-year-old yellow Labrador Retriever mix is all about snuggling. More specifically, she loves to give doggy kisses. She will happily sit next to you and cover you in kisses forever. When your face is out of her reach, Bailey is ready to be a great walking buddy and do some sniffing and exploring. Although Bailey is a Lab mix, she almost looks like a fox with that face of hers. She can be a little nervous when she’s inside her kennel and people come to say hello, but when she’s out on the leash she’s much better. 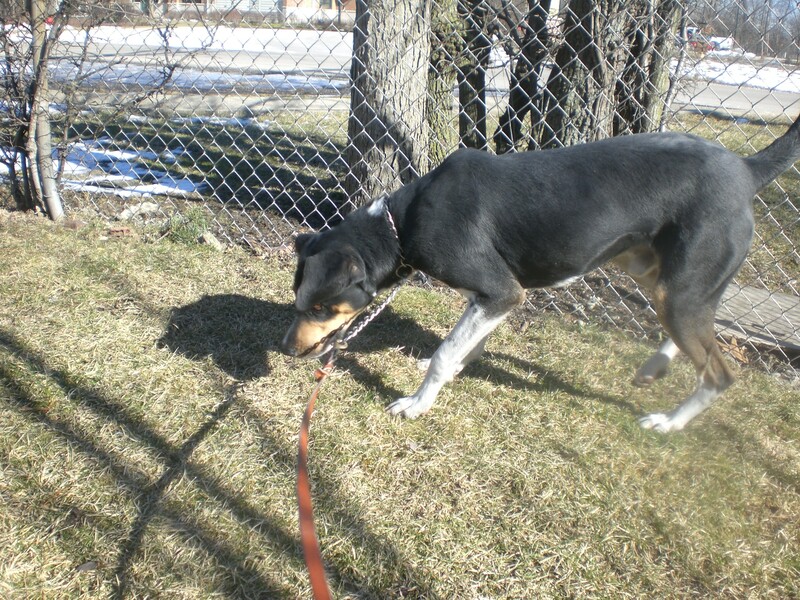 She’s currently Frankie‘s kennelmate, so she could go to a home with or without another dog. Is Bailey the pooch for you? 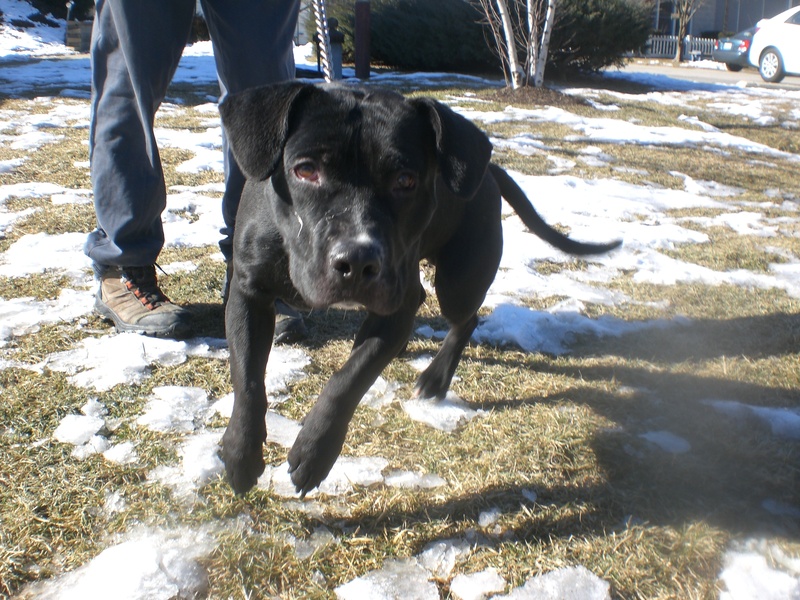 Fudgie the two-year-old black Labrador Retriever mix would be great at cuddling, too–especially if you know his favorite spot to be scratched. Fudgie loves getting his hips scratched, and will wriggle around and press his whole body against you while you do so. He’s a pretty muscular guy, so he can be strong, but once he runs off his initial burst of energy he’s a better walking buddy. Fudgie has an expressive (and adorable) face. His ears will perk up and stick out when he’s interested in something, and he has such a sweet expression all the time. Fudgie is ready to find a friend who will fall in love with him and take him home, and Fudgie promises to love you in return! Cricket the two-year-old Hound mix is so cute. I’m sad that my pictures really don’t do him justice. But he was hard to get a good picture of because this guy is always on the move! 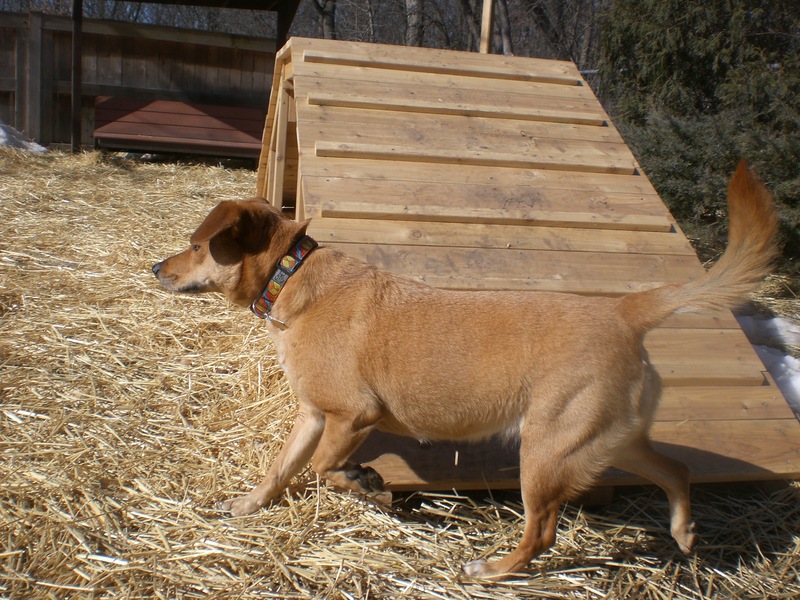 Scent hounds like Cricket are bred to go on long hunting expeditions through the woods and fields, and Cricket would be excellent at that (or just walking and running through woods and fields, if hunting isn’t your thing). Cricket is friendly with people and dogs alike and would love to have a playmate, or several playmates, to call his own. 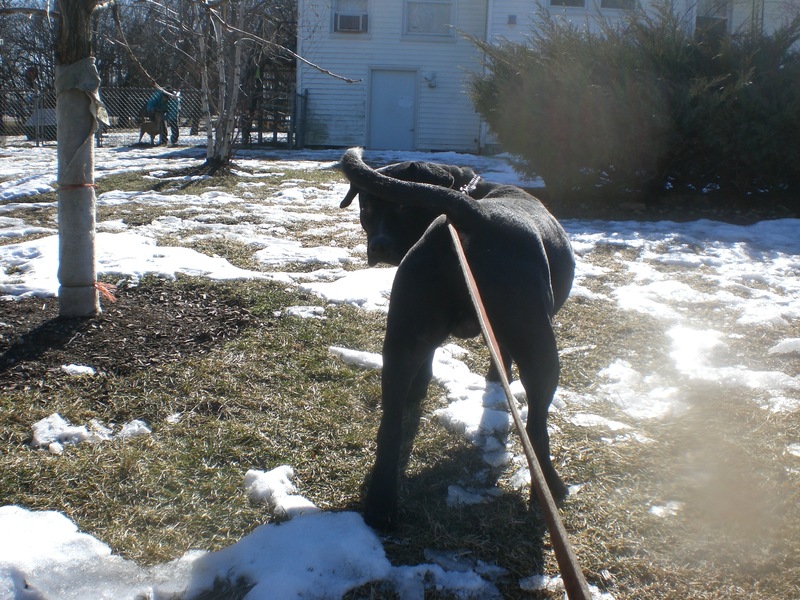 After Cricket gets to romp and play, he will be happy to relax with you at home and be a great companion. A cute boy with looks like his won’t stay at the shelter for long, so come in soon to meet Cricket! I had walked a few other dogs, but they’ve all been adopted since then! Yippee for them, and the rest of the dogs who have been adopted recently (and there are a lot)! 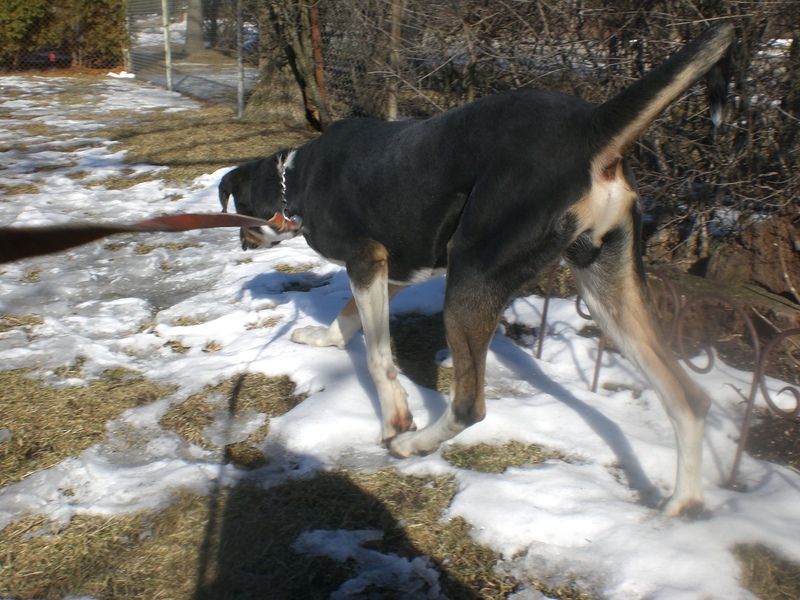 Posted by Meet the Pooches on February 21, 2013 in Dog Profiles and tagged adoption, animal shelter, Chicago, dogs, Hound, Labrador Retriever, Orphans of the Storm, pets.